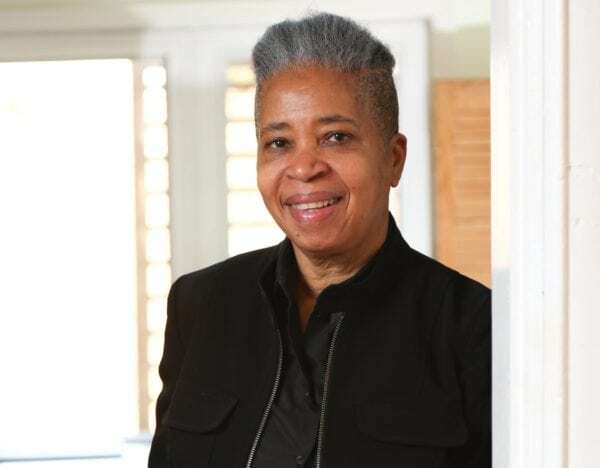 Dionne Brand, winner of the Griffin Poetry Prize, the Governor General’s Literary Award, the Trillium Book Award, member of the Order of Canada, and one of the country’s most respected and beloved writers, returns this fall with two books: The Blue Clerk and Theory. The former, the writer’s latest poetry collection, is composed of a sequence of versos, or left-hand pages, that cumulatively form an ars poetica in which Brand forwards a meta-theory about the act of writing poetry. Brand’s blue-ink-stained clerk lives on a lonely wharf where she presides over bales of paper that comprise the poet’s accumulated pages – things unwritten, withheld, or unexpressed. This book-length conversation between Brand and her clerk is a mix of memoir, poetry, criticism, theory, and philosophy. Theory is a slim philosophical novel that focuses on a narrator who is attempting to complete a PhD thesis despite becoming disillusioned by the promise of the academy. The novel investigates contemporary realms of the intellect, the body, and the spirit by way of the narrator’s reminiscences regarding three ex-lovers who respectively symbolize these three ontological elements. Canisia Lubrin: Regarding The Blue Clerk, I have no questions. What I have are 242 pages of comments. Why don’t we start with time and place. Dionne Brand: The Blue Clerk is an attempt to observe time and not place. Therefore, the materials that the clerk excavates/collects are not hinged to place. The clerk lives in nowness. The clerk lives in the continuum of the present. The author is stuck in place. CL: In Verso 2, you write that you have spent “years and years actually trying to write in the centre of your life.” How does this work in the context of a book that tries to interrogate the practice of poetry within the context of a poetic language? DB: Writing this clerk called for a degree of ruthless honesty, which was sometimes difficult. The things one has left unwritten or unsaid [in earlier work] would lead to a set of confrontations that would expose all the compromises, self-corrections, self-censorships, and sometimes nefarious and cowardly reasons for leaving the things unwritten and unsaid. So that’s a difficult process: to revisit the decisions of language, to revisit and critique the choices made even if those choices seemed, at the time, perfectly legitimate. CL: And can I posit that you created the clerk as a mechanism for self-criticism? DB: Poetry is pressure on the page, on space, on time. This is a diacritical text – an accenting, overwriting, and underwriting of what the poet has produced so far. A process that changes the tone, quality, texture, lines, shape. The clerk has thrown out all of the methods that the author has used so far, but what is created is a strange synthesis, a scansion of all the poet has written, pointing to the unstressed. CL: I wonder if we can talk about Guyanese writer Wilson Harris’s idea of the unfinished work of the imagination in The Blue Clerk. DB: I return to Harris’s essay “The Unfinished Genesis of the Imagination,” because for me it opens up ways of knowing that haven’t been suppressed by colonial logics. Likewise, his phrase “the originality of the future” is so rich and for me it seems to get at a set of knowledges that have yet to declare themselves fully. CL: You say also that the clerk isn’t burdened by the blank page. There’s a freedom there that insists toward possibility. That seems to be a dismissal of the idea of the Black diaspora as an absolutely tragic place. DB: The clerk’s manifest speaks to the business of full possibility in spite of all the regimes that seek to strangle that fullness – the regimes of white supremacy, racism, capitalism, sexism. These are not terms the clerk would use since the clerk lives in time and not in narrow place. This place we live in is narrow, meagre, and reductive. The clerk has a kind of knowledge and, perhaps, cynicism of this world whose conditions are paltry. The clerk thinks the author is slightly cowardly. The clerk is stringent. She feels that the author with all her beautiful finishes never manages to de-centre what she strives to de-centre because she pays too much attention to and, therefore, inadvertently capitulates to those logics. The clerk reformulates what to consider, what to think of as knowledge. CL: Some versos question how we use language to animate space and how we in turn are animated in space. DB: I try to listen to the actual sound of a place, not the official sound or the official narrative. The space the poet occupies is against the official narrative. The poet collects the sounds, the meanings, and through accumulation something appears. The job of the poet is to notice. CL: To be alive, then, is to collect? We live and accumulate. DB: This collecting is involuntary on the part of the clerk. And the clerk would rather not. The author has an archive; the clerk has a living library whose records are always undone, always changing. That living, breathing, elliptical, complicated, undone thing is [the subject of] the actual discussion that they’re having. The clerk is not a tool of the author. One might think it is the other way around, yet I think that the relationship is far less knowable. In this sense, their argument is not a dialectic in the way of Socratic dialogues. Perhaps it approaches Kamau Brathwaite’s Tidalectics – cyclical rather than linear. The exchanges between the author and the clerk are wave-like and oceanic, petering out or explosive. CL: In Theory, the desire of the protagonist is to create something – by way of a dissertation – so radical as to change the world in a concrete way. Does the narrator exemplify what the clerk might be on this side – our side – of the wharf? DB: No. The clerk is a creature of the air of the wharf; she’s pure poetry, in a sense. Theory is a different matter altogether – an experiment in an experiment. CL: The narrator’s life in Theory is refracted through the intellect. The novel exposes how living a critical life is often in conflict with a person’s way of being in the world. DB: The narrator really doesn’t have a grasp of the social. When the novel opens, the character has already been through those social experiments with the lovers, who have inculcated a kind of mystery. The narrator is rigorous and very bright but also vain. For the narrator, the social and the intellectual are at odds with each other. CL: It’s a portrait of someone who has turned life into an experiment. DB: Yes, in a sense. CL: Theory seems a way of trying to escape ideology, pushing back against hierarchy and its dangerous normativities and conformities. DB: Theory is a novel of ideas. This isn’t a new thing. The form of the dissertation crosses into the form of the novel. Gradually, the thesis that the narrator tries to attend to walks into the novel; the thesis is performed in the novel. CL: Would you say this is an approach to eliding narrative? DB: Definitely. Yes. You can say that the novel comments on the regularity of a certain kind of narrative that has locked the reader into expectations about the creation of a physical world. Certainly, in North America, [this] is the logic of novels. Everywhere else, forms of narrative are expanding. In entering Theory, both the reader and author must be generous in understanding that the universe is 13.772 billion years old. CL: The book plays with this idea of what kind of academic the narrator is, what space the narrator occupies. The idea of honesty as it appears in the novel (“mistaking honesty for cruelty”) seems to set up a false dichotomy. DB: Adjacency, I think, is what the narrator would call it. The narrator is aware of context and treats life as an academic question and enterprise. The character comes from a kind of middle class but practises a form of living that is not suitable enough. There are proscriptions that must be adhered to. The narrator is a rigorous academic, even in the personal. CL: The narrator’s encounters with the past are humorous, calling up figures like Dickens, Shakespeare, Walcott, Naipaul. Hilarious and so true. CL: The book is quite something. DB: I had a lovely time writing it.